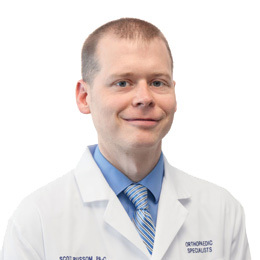 Scott Bussom, PA-C was an NIH sponsored research fellow and on the research faculty at Yale University before deciding to become a physician assistant and work directly with patients. While at Yale, he authored articles that were published in national medical journals. Scott graduated with honors from Stony Brook’s Physician Assistant program in 2013. He is a competitive athlete with an educational background in athletic training. He has worked for a professional hockey team and has been an assistant coach at the collegiate level.